QUICK-BACK CONFIRMATION MY-START uses Quick-back to quickly confirm successful operation. Quick-back is in fact so fast compared to the nearest competitive devices that there really aren't any! 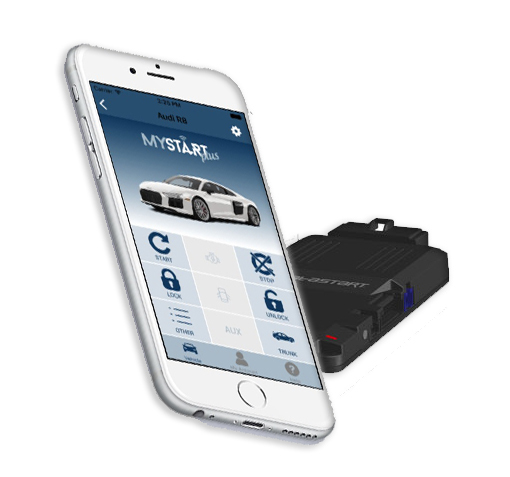 MY-START Plus – Smart Phone Remote Starter System. Compustar Newest 2way LCD RF-2WT11SS (Pro T11) remote controller is one of the industry leading remote starter and remote starter alarm controller. Stay Connected to your car on the slopes , on the lake and on your next outdoor adventure with an unbeatable range of up to 15000 ft (3 Mile) you can feel confidant your vehicle remote starter will work and the remote starter alarm will alert you in-case of alarm trigger. 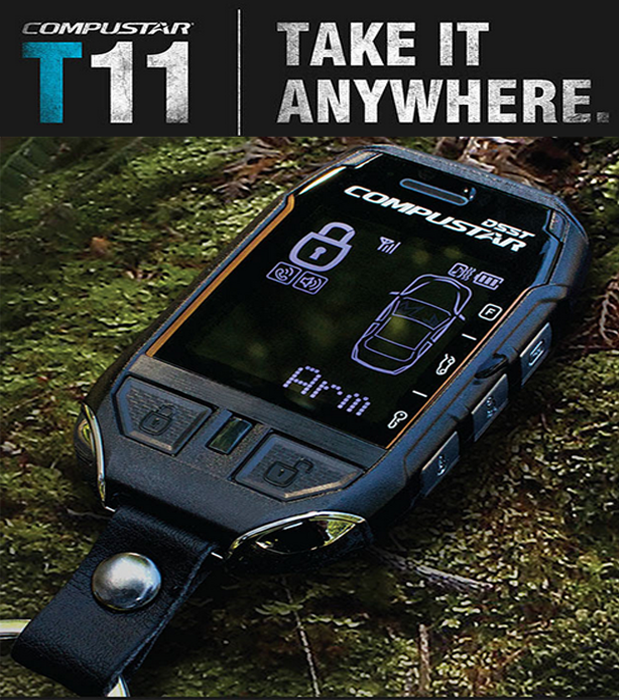 The RF-2WT11SS (Pro T11) is water proof at a depth of up to 1 meter for 30 minutes. Remote Start - Hold down the KEY button for 2.5 seconds to remotely start your engine to heat up/cool down your vehicle. Keyless Entry - Press the LOCK or UNLOCK buttons to arm and disarm your security system, as well as lock and unlock your vehicle's doors. Manual - Transmission Compatible - This remote start system can be safely installed onto a manual-transmission vehicle. Up to 3000-Ft of Range – Powered by Superheterodyne Plus (SP) Technology. 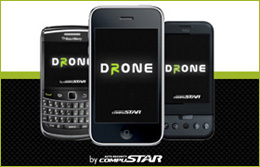 Send commands from up to 3000 feet away. 2-Way LCD Confirmation – Receive instant visual and audible confirmation on your 2-way remote’s LCD screen. With an unbeatable range of up to 15000 ft (3 Mile) you can feel confidant your vehicle remote starter will work and the remote starter alarm will alert you in-case of alarm trigger. *prices do not include taxes and installation charges. *prices are accurate at the time of publishing however are subject to change without notice. Price is guaranteed once you receive confirmation from one of our trained technicians. *Prices for product purchase only without installation at our shop may be different than stated. Compustar PRO refreshes its lineup with a revolutionary new look with the RF-P2W901R-SS. Features include up to 1 mile of range, rechargeable lithium ion battery with wall charger, separate lock and unlock buttons, detailed LCD text display, 2 year remote warranty, and lifetime system warranty. Other features include trunk release, remote start, time and alarm clock, manual transmission safe mode indicators, auxiliary outputs, remote mute/vibration mode, ignition controlled door locks, 2nd car and turbo timer modes as well as button lock. CompuStar’s flagship PRO module . This new model features range of up to 1 mile with 900MHz Spread Spectrum Technology. Some said it couldn’t be done, however CompuStar continues to set the standard for range and performance. 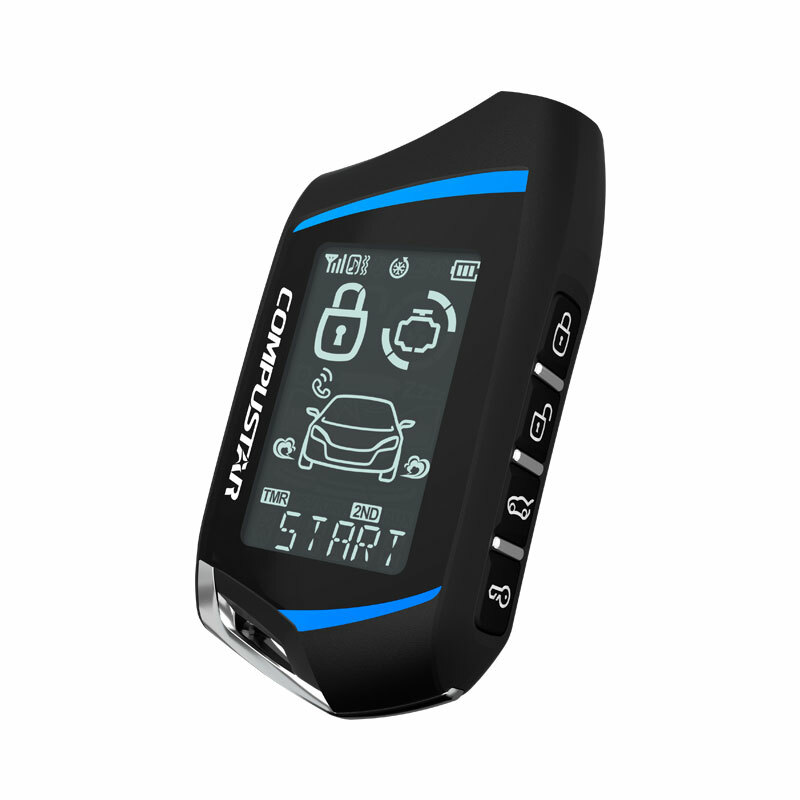 Some of the basic features include a 2 year remote warranty, lifetime system warranty, multi-car operation, vehicle temperature display, vehicle voltage display, CompuGlow backlight, protective case, run-time countdown, keyless entry, trunk release, remote start, auxiliary outputs and much much more. Up to 2000 feet of Range!!!! *Price is guaranteed once you receive confirmation from one of our trained technicians. This model uses Super Heterodyne AM technology for one of most economical one-way systems in our line up. 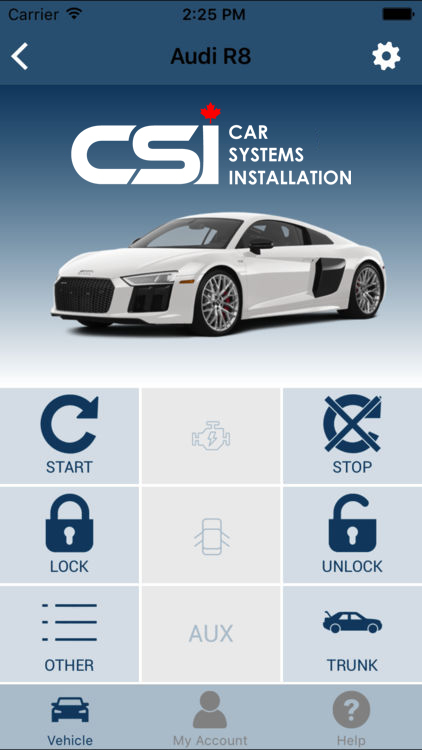 Are you looking for an easy way to secure your car and add remote start? The Compustar 1way remote starter alarm RF-1WG6-AM Remote Start + Security System is Compustar’s best-selling option for customers looking for a way to easily add convenience and security to their cars. The G6 remote has a range of up to 2000 feet, which is up to 10 times the range of your car’s original remote. Protect your vehicle from thieves and vandals, and start your engine with the push of a button from up to 2,000 feet away. 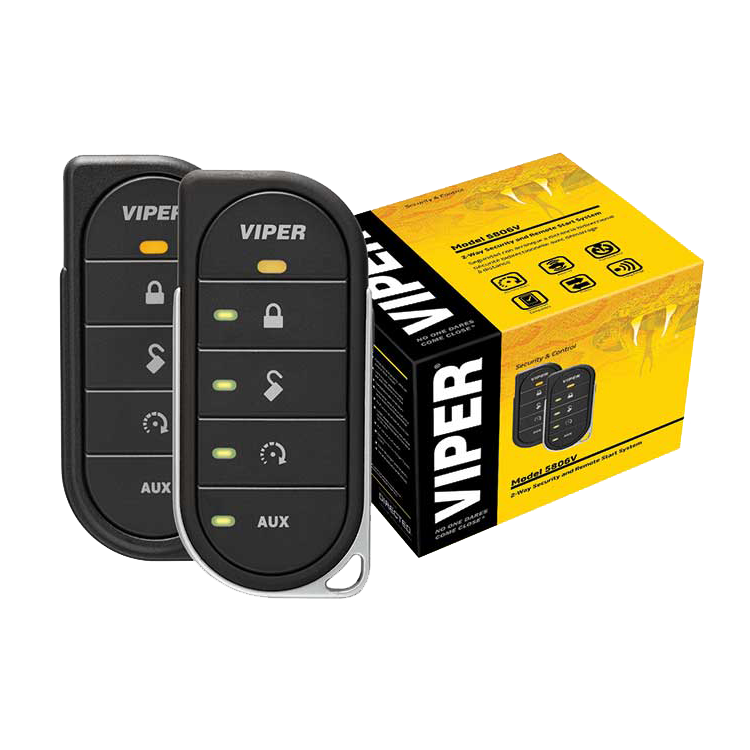 The Viper 5601 features two slender and elegant 5 button SuperCode remote controls. Based on the Best of Innovations Award-winning 2-Way Responder LE Security and Remote Start System, this is the value-priced 1-Way version. Includes all of the key vehicle security components including the Stinger® DoubleGuard® shock sensor, Failsafe® Starter Kill and Revenger® 6-Tone Siren, plus the very latest in Remote Start technology, including Virtual Tach, D2D and XPRESSPORT™. 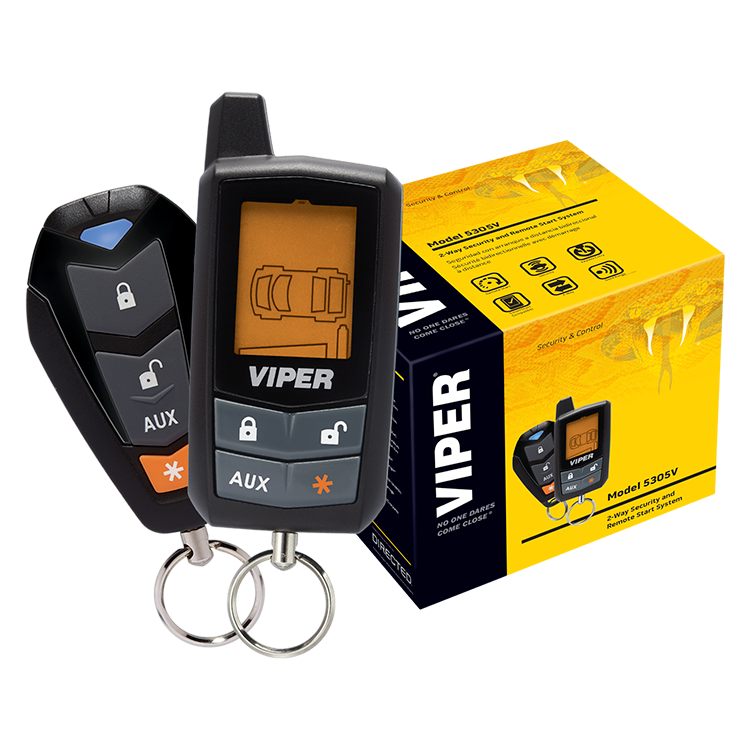 Viper’s elegant new Responder LE transceivers mark a giant leap forward in 21st century vehicle security and remote start, and an evolutionary milestone for the keychain remote. These slender & sophisticated 2-Way remote controls feature a clean sleek ergonomic industrial design, made to fit the user’s hand comfortably, enabling effortless and intuitive single-handed operation as Brilliant LEDs confirm your commands. 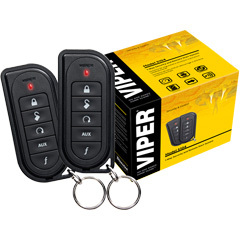 Start your engine from up to a quarter mile away with this entry level 2-way Viper remote start + security system. This system comes with a 4-button LCD remote and several features, such as keyless entry and SmartStart compatibility. 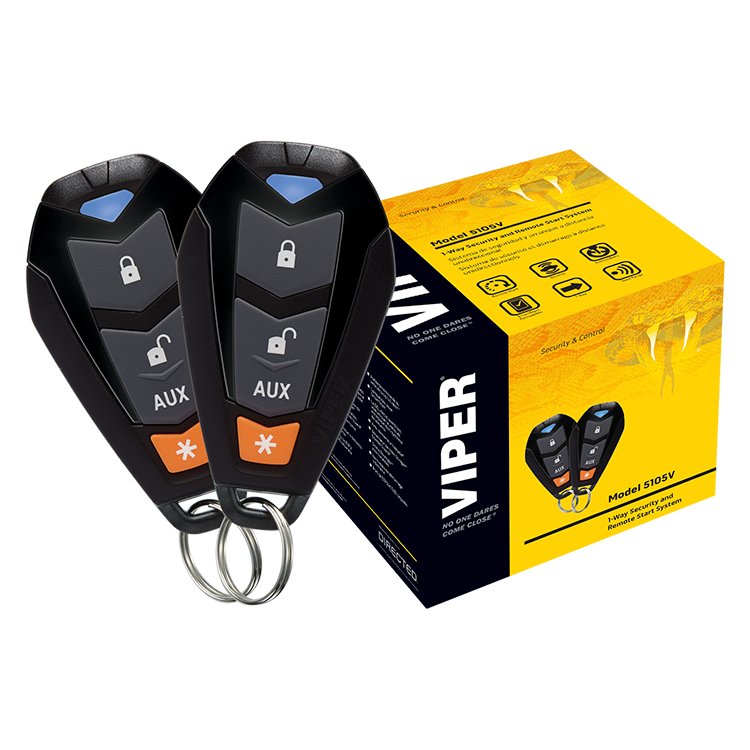 Start your engine from up to a quarter mile away with this entry level 1-way Viper remote start + security system. This system comes with two 4-button remotes and several features, such as keyless entry and SmartStart compatibility.